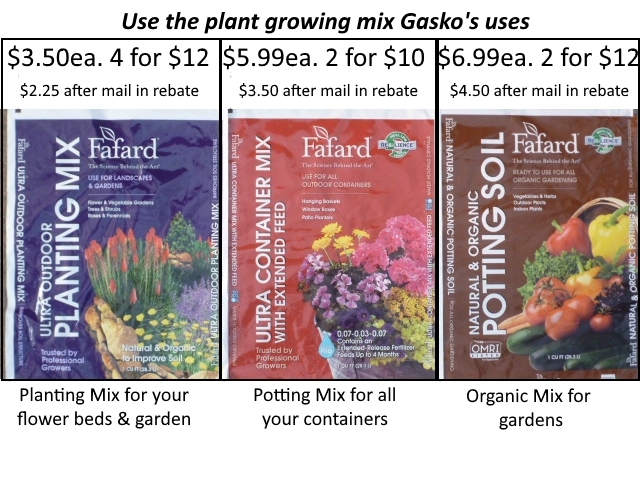 Use the planting mix Gasko uses for the best results! 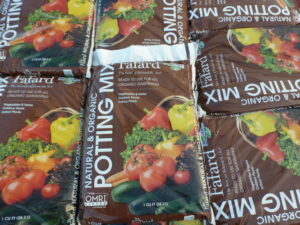 Fafard has the right mix of soil for all your planting needs. Gasko’s has it at low prices and get a mail in rebate for $3 when you purchase $10 or more of the Fafard products. 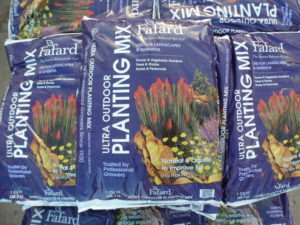 Ultra Outdoor Planting Mix for flower beds. 1 cu. ft. bag for $5.99 each, 2 for $10. Final cost after mail in rebate is $3.50 each. 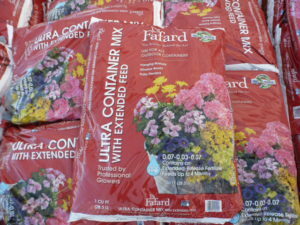 Ultra Container Mix for your hanging baskets, pots and all your containers. 1 cu. ft. bag for $6.99 each, 2 for $12. Final cost after mail in rebate is $4.50 each. Natural & Organic Potting soil for your gardens and herbs. 1 cu. ft. bag for $3.50 each 4 for $12. Final cost after mail in rebate is $3.50. A mail in rebate for $3 back with the purchase of $10 or more Fafard soils at Gasko’s is available at the cash register.